And I tell you, if you have the desire for knowledge and the power to give it physical expression, go out and explore,” wrote Apsley Cherry-Garrard in the opening chapters of his now classic exploration narrative, The Worst Journey in the World. The incredible tale that he tells is of the fated last voyage of Captain Robert Scott and his crew to the outermost reaches of the South Pole on the Terra Nova. 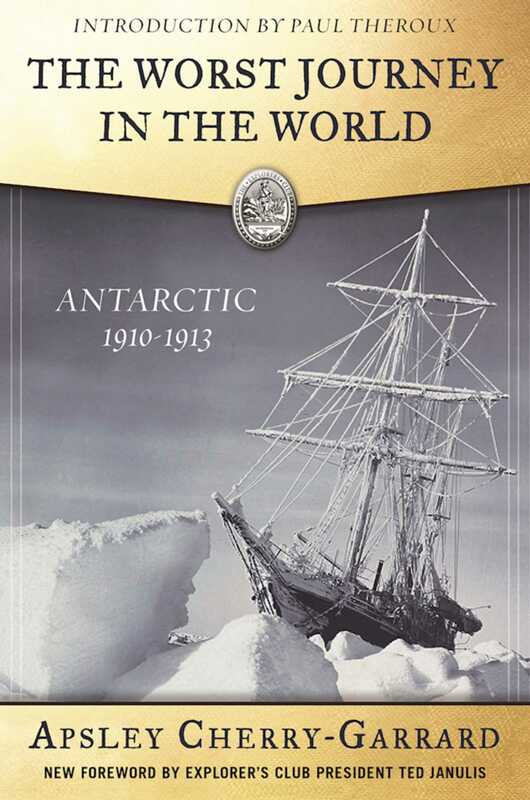 Chronicling the journey of the Terra Nova from England in 1910 to New Zealand in 1913, The Worst Journey in the World vividly describes the entirety of Scott’s harrowing and tragic final expedition. Driven by a lust to investigate the untold scientific knowledge contained within the South Pole, these courageous pioneers embarked on a journey into previously unexplored territory, subjecting themselves to the ultimate physical and mental limits as they traveled the massive expanses of the icy tundra. Cherry-Garrard was a key member of the Terra Nova crew that, in addition to the desire to uncover scientific data, desperately sought to be the first Europeans to reach the South Pole. But the expedition was thwarted at every turn by punishing weather, extreme bad luck, and the intense physical and mental decline of the crew on the final stages of their journey. Confronted by the shattering knowledge that rival explorer Roald Amundsen had reached the South Pole only a few weeks before them, Scott’s team then had to negotiate the last stage of their voyage, a doomed attempt which has no equal in peril, disaster, and tragedy.